Grzybowska 4 investment is a great example of modern architecture - the main structure has a varying hight and opens towards the park. 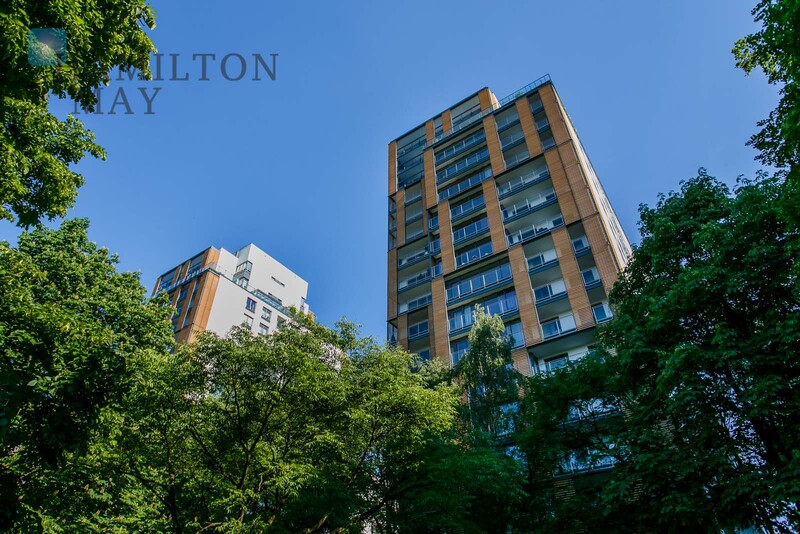 Two 17-storey towers located on the investment's North's side give the entire development its unique character - they also neighbor the Mirowski Park. The building's wings run perpendicularly to Grzybowska street and are 7 floors tall. The complex features a green patio, fountain and gardens, which belong to the apartments located on the ground floor. The beautiful inner courtyard is quite large when compared to other modern developments - the building's wings are 38m apart - the courtyard is 77m long. The entire complex comprises 287 apartments, including 5 penthouses. The offered apartments range in size and have between 38m2 and 250m2 of total floorspace. Apartments have tall ceilings (287cm) and windows (240cm). The property is located on a prestigious Grzybowska street, close to Warsaw's main thoroughfares such as Central Train Station and underground. There are also stops of public transportation located nearby. The Palace of Culture and Science as well as Złote Tarasy shopping center are just a stroll away.